Serving up a tube of holiday cheer on DAY 21 of the countdown. Christmas is quickly approaching with only a few days left until the big day. Is your tree up? Trimmed and looking festive? If not, I may have a quick fix for you. Unfortunately, it is a sad solution - one that could drain the joy from your holiday season. For around $13 you can purchase this 15 inch plastic tube. A tiny Christmas tree and a slew of Turtle-inspired ornaments are jam-packed inside the cylinder. The image on the packaging promises a fluffy, picture perfect decoration. 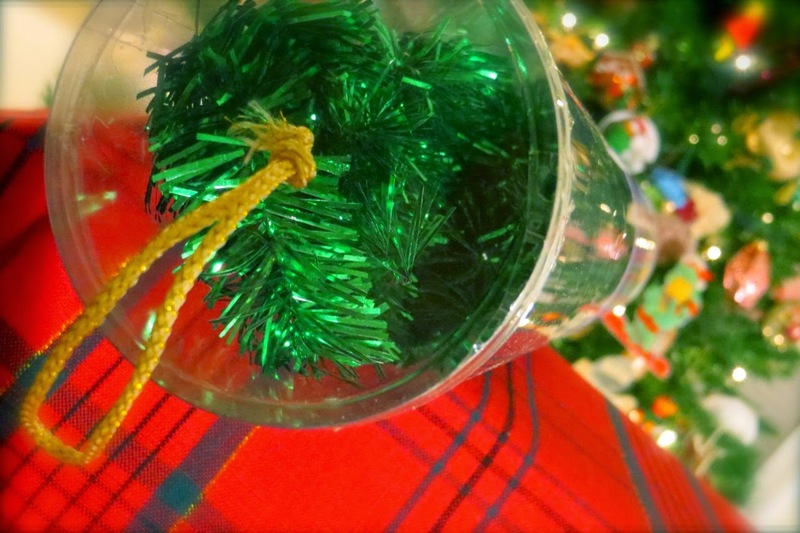 I popped open the tube and unsheathed the tree - revealing a scrawny mess of cheap wire coated with green tinsel. The base was significantly warped to the point where the poor tree couldn't even stand on its own. Using my superior strength, I bent it back to a proper position. The shimmering cheap plastic bulbs grabbed my attention. The silver-coated strings created a chaotic mess - looking like a festive holiday bomb. Was this a Christmas decoration or an explosive device? Fearing my life, I removed them from the tube to inspect. I didn't die, but my Christmas spirit did. The bulbs were beyond cheap - weightless and in an awkward, half spherical shape. This was not the caliber of TMNT ornaments I have come to expect. Like a good wooden soldier, I marched on and delicately hung a few ornaments from the feeble branches. I hoped when everything was assembled, I would be hit over the head with Christmas appreciation. Nope. Not at all. The tree was sad - a holiday joke gone wrong. I wrapped the included strand of silver garland around it in a plea for holiday cheer. That didn't help either. The combination of a faulty tree, cheap ornaments, and an overall underwhelming execution, the tree is one sad dude. It might satisfy a 6 year old assembling their very own Christmas tree from the belly of their messy room, but for everyone else, save your cash. Purchase a couple TMNT ornaments of higher quality for the same price. The silver-belled lining to this sorry tale - the tree toppled over before I could snap a photo of it fully decorated. The image on the packaging is as good as it gets. Do you have a real Christmas tree? That can handle real ornaments? Well, you're in luck! Today's gift is a scan of a wooden Leonardo ornament from the original cartoon series (and it's only appropriate he's holding a bushy Christmas tree). Print, cut-along the dotted line, and hang the leader of the group in your home. Check back tomorrow for DAY 22 of 24 Days of Turtle for more festive fun, gracious gifts, and possible prizes! Until then, stay jolly, dudes & dudettes! Wow, that is one sad looking tree... if you could even call it that.